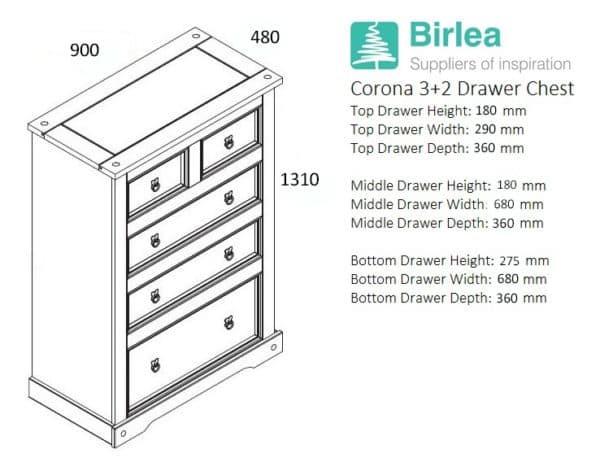 Part of a traditional bedroom range that works well in any home, the Corona 3+2 drawer chest is a great storage addition to any bedroom. 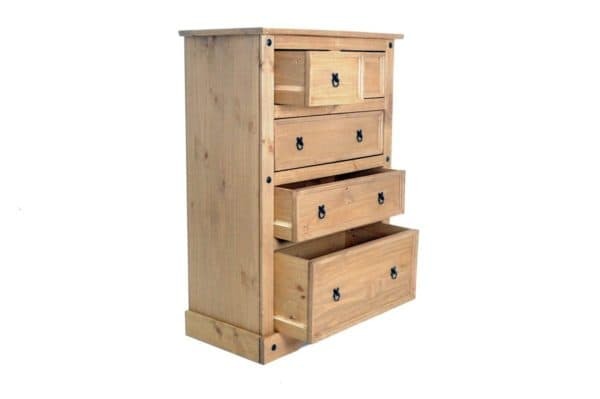 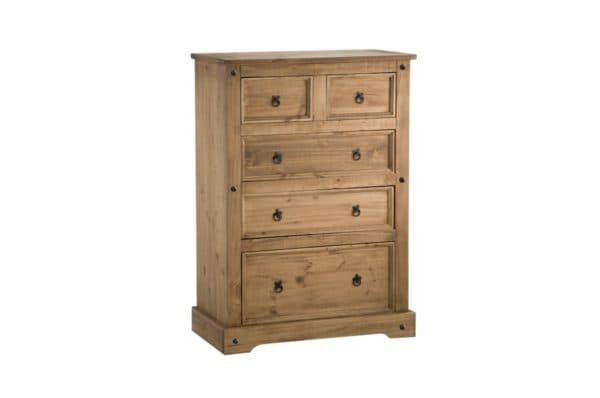 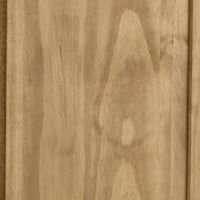 Constructed from solid pine, the 3+2 drawer chest features a waxed pine finish with contrasting handles and stud detailing. See more from the Corona collection.